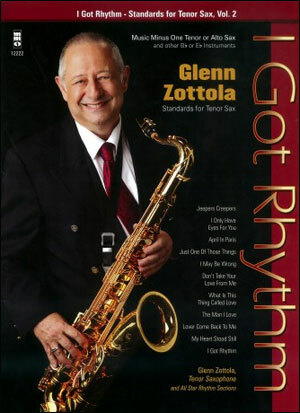 This second album in the series, again features Glenn Zottola on tenor sax performing some of the greatest standards of the 20th century with three all-star rhythm sections. 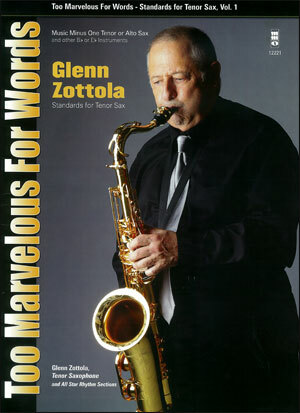 As on MMO 12221, the exact performances have been transcribed to enable the at-home player to study and emulate these solos, gaining a better understanding of the music. As before, the printed music allows for use by an alto sax, with original melody line, and lyrics provided as well as chords. The rhythm sections sprinkled with such names, as Oscar Pettiford, Kenny Clarke, Barry Galbraith,Jimmy Rainey, Don Abney and Milt Hinton attests to the legendary stature of your accompanying players. The songs, all standards, familiar to all players. It never gets this good!